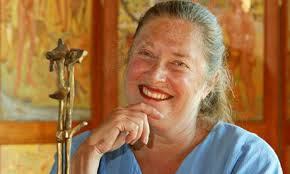 Among those who have signed the statement include Wendy Doniger, Professor of the History of Religions, University of Chicago, who shot into prominence after her book, “The Hindus” was withdrawn from circulation in India by the Penguins following a saffron objection, and Ania Loomba, Catherine Bryson Professor of English, University of Pennsylvania, who in March 2013 organized a campaign to stop Modi's address to Wharton India Economic Forum. 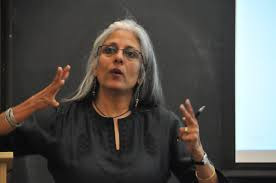 Other important US-based academics who have signed the statement include Anjali Arondekar, Arjun Appadurai, Sarada Balagopalan, Radhika Balakrishnan and Srimati Basu. Modi will be in US from September 23 to 28, and after attending the United Nations in New York, where he will meet President Barrack Obama, he proposes to go to Silicon Valley to address Indian Americans, and also speak at Stanford University. AAUP blog is a production of Academe magazine, which focuses on issues in higher education, opinions published in them “do not necessarily represent the policies of the AAUP”, the website where the statement has been published says. The statement further says, “Those who live and work in Silicon Valley have a particular responsibility to demand that the Government of India factor these critical concerns into its planning for digital futures.” The statement comes amidst fear that Digital India is aimed at intruding into the personal information of non-resident Indians (NRIs). Even as “acknowledging” that as Modi, as Prime Minister of a country that has “contributed” much to the growth and development of Silicon Valley industries, and has “the right to visit the US, and to seek American business collaboration and partnerships with India”, the statement reminds the organizers the reasons behind Modi being denied visa before he become Prime Minister. The statement provides the example, in this context, of “the Tata Institute of Fundamental Research, the Indian Institutes of Technology and Nalanda University; as well as underqualified or incompetent key appointments made to the Indian Council of Historical Research, the Film and Television Institute of India, and the National Book Trust. “A proposed bill to bring the Indian Institutes of Management under direct control of government is also worrisome. These alarming trends require that we, as educators, remain vigilant not only about modes of e-governance in India but about the political future of the country”, the statement says. “We urge those who lead Silicon Valley technology enterprises to be mindful of not violating their own codes of corporate responsibility when conducting business with a government which has, on several occasions already, demonstrated its disregard for human rights and civil liberties, as well as the autonomy of educational and cultural institutions”, it concludes.